Nine awesome to-dos on tap for this weekend. By Emily Leaman·	 4/16/2015, 1:50 p.m.
Bookin’ for Lookin’ in Tyler State Park returns this weekend. 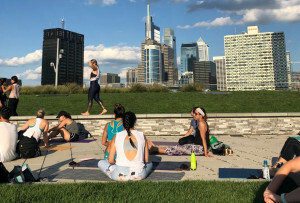 It’s another jam-packed weekend of fitness here in Philly! From the return of Yoga on the Banks (yay!) to a throwback high-school track race, there’s plenty to keep you busy. 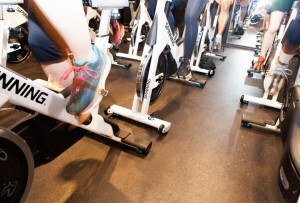 See our picks for what to do in the fitness world below. Where: WHYY Building, 150 North 6th Street, Market East. This all-day yoga fest features workshops and master classes with local yoga instructors and wellness professionals. Among the faces you might recognize: Corina Benner of Wake Up Yoga, Shawn DeClue of Maha Yoga, Mariel Freeman of DIG Yoga, and many more. There will also be a marketplace with vendors sharing products and services during the day. Registration costs $40 for a single class, $75 for a half-day pass, and $125 for a full-day pass. When: Friday, April 17th at 6:30 p.m.
Where: Woodbury High School, 25 North Broad Street, Woodbury. The Woodbury Relays, an annual high school and middle school track-and-field event, will be held this Saturday and Sunday. But before the show gets going, the Road Runners Club of Woodbury will host one- and two-mile track races on Friday evening for runners of all ages, stripes, and former track-and-field glory. It’s $12 to participate, and after the races there will be refreshments and pizza (included in the registration price). Get there at 6 p.m. for race-day registration. When: Saturday, April 18th at 11 a.m.
Where: Schuykill Banks, 25th and Locust streets. The outdoor yoga program at the Schuykill Banks returns for the 2015 season this weekend. The pay-what-you-wish yoga classes will run Saturdays from 11 a.m. to noon; Sundays from 11 a.m. to noon; Tuesdays from 7 to 8 a.m. and 6:30 to 7:30 p.m. This weekend, to celebrate the debut gathering, folks from Shake Shack will be on hand giving out vouchers for a free post-yoga drink — your pick of beer, wine, soda or a shake — from any Philly Shake Shack location. Be sure to bring your own mat. When: Sunday, April 19th at 9 a.m.
Where: Race takes place in Tacony Creek Park; it starts at Friends Hospital, 4641 Roosevelt Boulevard, Northeast Philly. This third annual out-and-back trail race starts at Friends Hospital, crosses the Fishers Lane Bridge and connects with the Tacony Creek Park trail, a paved running and biking trail along Tacony Creek. Portions of the trail on the Friends campus are unpaved and there are some moderate hills. Proceeds from the race benefit the Tookany/Tacony-Frankford Watershed Partnership, which provides programming and stewardship of Tacony Creek Park. It’s $20 to register; race-day registration begins at 8 a.m. When: Sunday, April 19th at 8:30 a.m.
Where: Valley Forge National Historical Park, 1400 North Outer Line Drive, King of Prussia. 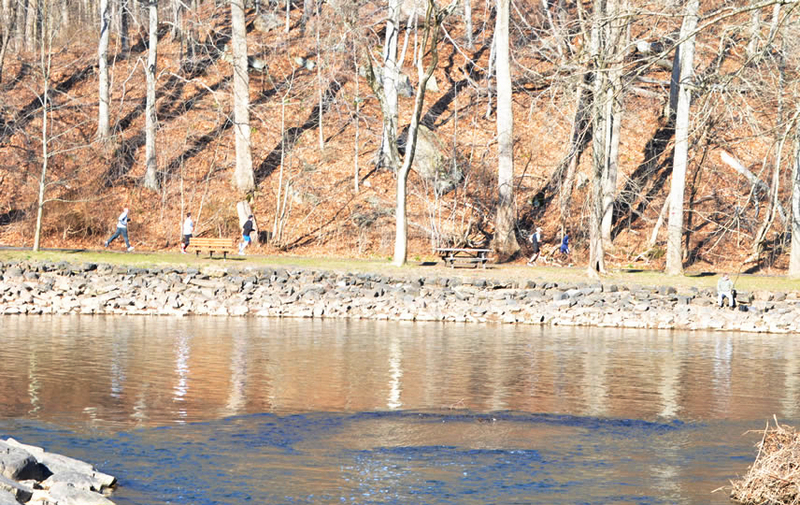 This popular five-mile run returns for its 10th year. The USATF-certified course winds over rolling hills and past historic landmarks inside the park. The race fetches more than 1,200 runners from six states. There’s also a three-mile fun run/walk. It’s $40 for the run and $25 for the walk; registration runs through Saturday. Note: There will be no race-day registration. When: Saturday, April 18th from 3 to 5 p.m.
Where: The Clay Studio, 137-139 North Second Street, Old City. Teaspoons & Petals blogger and local tea consultant Alexis Siemons is hosting a tea workshop this weekend, where you’ll taste three different kinds of teas, learn how to brew and serve them, and discover delicious tea and food pairings. It’s $35 to register. When: Saturday, April 18th from 10 a.m. to 3 p.m.
Where: Columbus Square, 1200 Wharton Street, East Passyunk. Where: Race is in Tyler State Park; it starts at Council Rock High School North, 62 Swamp Road, Newtown. This charity race raises money for the Foundation Fighting Blindness and Bucks County Association for the Blind and Visually Impaired. There are three distances to choose from: an eight-miler, 5K, or kids’ one-mile fun run. All three are out-and-back courses; the 5K takes you to the edge of Tyler State Park, but the eight-miler takes you into the park. Race-day registration is $15 for the kids’ race, $30 for the 5K and $35 for the eight-miler. When: Sunday, April 19th at 7:10 a.m. for the 10K and 7:20 a.m. for the 5K. Where: Philadelphia Museum of Art, 2600 Benjamin Franklin Parkway, Fairmount. This annual run benefits the Gift of Life Donor Program, which helps increase awareness of organ and tissue donation. Both the 5K and 10K courses are out-and-backs along MLK Drive. Online registration is closed, but you can register on race day beginning at 6 a.m. Day-of registration is $35.